Toshiba announced a number of late additions to its 2014 back-to-school lineup today, including low-priced 8- and 10-inch tablets that run the recently announced Windows 8.1 with Bing. The company also announced an even-less-expensive 7-inch Android tablet. All three tablets will be powered by Intel’s quad-core Atom Z3735F processor. The 8-inch Encore 2 with 1GB of memory and 32GB of storage will be priced at just $199, while the 10-inch Encore 2 with the same amount of memory and storage will be priced at $269. 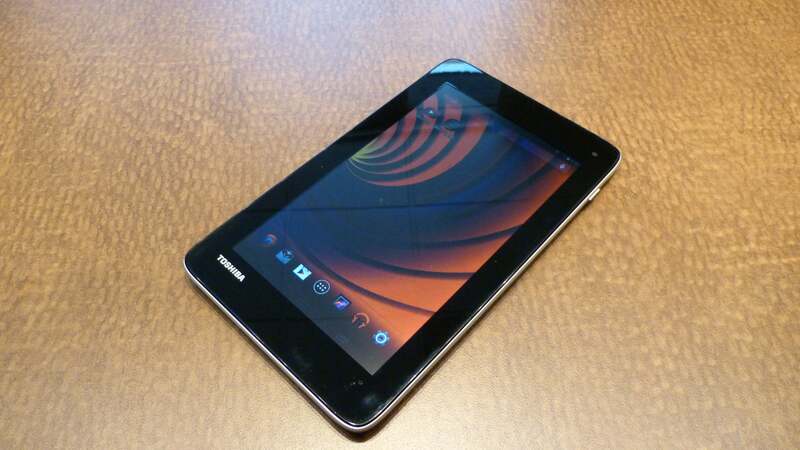 Toshiba launched the original Encore tablet in an 8-inch configuration for $329. 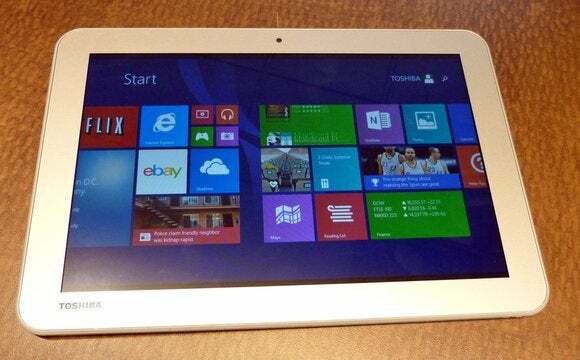 Toshiba's Encore 2 tablet will be available with 8- and 10-inch IPS displays with resolution of 1280x800 pixels. The Android-powered Excite Go, meanwhile, will have 1GB of memory and 8GB of storage, supplemented by a MicroSD card slot for storage and a Micro USB port for charging and file transfers. It will carry an MSRP of $109, but Toshiba expects retailers will discount it to a street price of less than $100. Toshiba also announced the 7-inch Excite Go Android tablet, that's expected to sell for less than $100. Aside from display sizes, the specs for both Encore 2 models are similar: They’ll be outfitted with IPS displays delivering native resolution of 1280x800 pixels, and both will support “connected standby” mode, meaning all your data—including email—will be fresh when you awaken the device from sleep mode. They’ll have front and rear cameras (a 1.2-megapixel (MP), 720p webcam up front, and a 5MP, 1080p camera in back). Storage will be augmented by MicroSD card slots that support up to 128GB memory cards. And they’ll have 802.11n Wi-Fi adapters with Bluetooth 4.0. Both models will be outfitted with stereo speakers. Although both models will come with one-year subscriptions to Microsoft’s Office 365 Personal, Toshiba is positioning the 8-inch Encore 2 as an entertainment/consumption device and the 10-inch Encore 2 Windows tablet as both an entertainment device and a productivity tool. As such, Toshiba will offer an optional keyboard cover for the larger model that will transform it into a small laptop. The 10-inch model will also have a micro HDMI port (for TV multi-monitor support) that the 8-inch model lacks. Toshiba wants buyers to compare the 10-inch model to Microsoft’s Surface 2, pointing out that its tablet delivers the full version of Windows 8.1 for $269, where Microsoft charges $449 for a device that’s limited to running Windows RT. The 10-inch Encore 2 will have an micro HDMI port that isn't available on the 8-inch model. The 8-inch Encore 2 will be 0.38-inches thick and weigh 0.81 pounds. The larger Encore 2 will be even thinner—0.35 inches thick—but slightly heavier at 1.2 pounds. Toshiba will offer additional models with more memory and storage. An 8-inch Encore 2 with 2GB of memory and 32GB of storage will sell for $249, while a SKU with 2GB of memory and 64GB of storage will go for $279. The 10-inch Encore 2 with 1GB of memory, 32GB of storage, and a keyboard cover will cost $299, while a SKU with 2GB of memory and 64GB (but no keyboard cover) will be priced at $329. 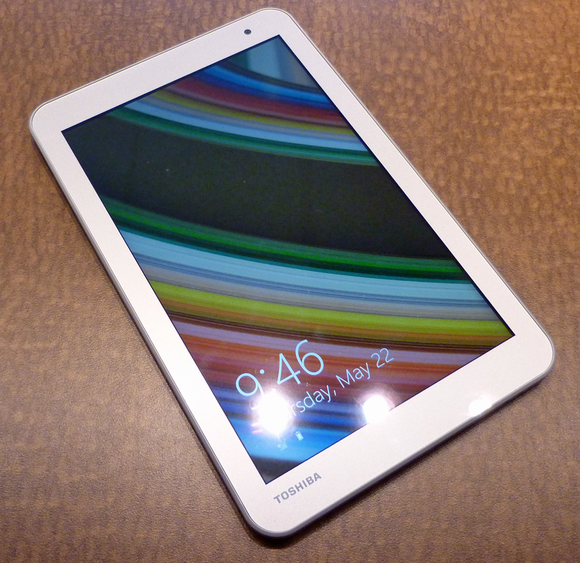 Toshiba expects the tablets to be available for sale in early July.